"Fake news" isn't always about politics. 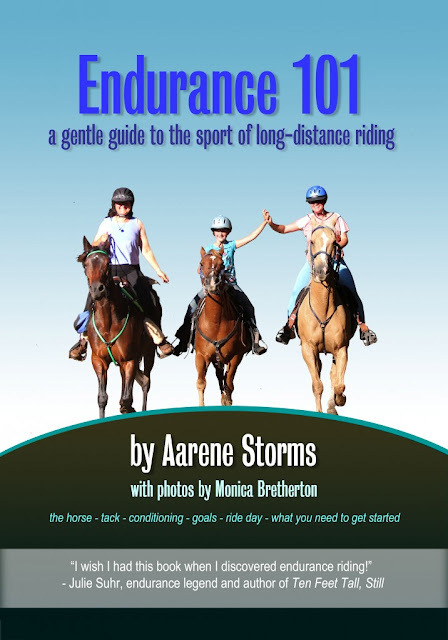 I recently wrote an article for Endurance News magazine that included a list of books written about long distance riding. (I will publish the list here after EN prints the April issue), and was surprised at the number of books that have been published in the last few years. I guess I shouldn't be surprised. When we were shopping Endurance 101 out to publishers in 2011 and 2012, this was the way a book got made: a publisher bought it from the author, and then published it, and then sent (some) money to the author. Late in 2011, things began to change. As a result of the economic downturn after 2008, mainstream publishers were buying fewer books. At the same time, self-publishing suddenly got easier. Amazon and others made editing software readily available, and gave authors a platform to distribute work to the whole world. There has always been a strong stigma attached to "vanity press" and "self-published" books. I learned in library school that self-published books were not good enough to be bought by a publishing house. They were (usually) poorly researched by (frequently) unqualified authors, (often) badly written, poorly (or not at all) edited for copy mistakes, had low (or no) standards for content, and were (cheaply) printed on substandard paper without regard to quality and practices that apply to proper books. These stigmas are not always justified now. Lots of qualified authors (I am one of them) do the math and figure out that we can reach our audience just as well--sometimes better--without a mainstream publisher...and without a big publisher to share with, we can keep more of the (sometimes meager) profits. Lots of authors (I am one of them) hire a copy editor, work with content fact-checkers, include professional photos for cover and interior illustration, and print on good paper stock with a sturdy binding. It's a bucket-load of work to make a book properly, as Monica documented in her post.